Barn owls are excellent at many things, like spotting mice from long distances, soaring effortlessly through dense forests, and swiveling their heads nearly nearly 180 degrees. But there is one thing that millions of years of evolution did not prepare them for -- being ideal ring-bearers. Though this might seem intuitive to most folks, recent newlyweds Ceire and Andrew Bode learned it the hard way. The couple hired a barn owl from a local bird sanctuary to add some festiveness their nuptials, but instead of delivering the rings as they had planned, the bird evidently preferred being an owl over a wedding prop. "I'd been told to make a clicking sound with my mouth to call the owl over, but it wasn't coming," Andrew told the Daily Mail. "Eventually it started flying up the aisle, but then it veered off and almost flew in Ceire's face. Then it just flew up into the beams and stayed up there for about five minutes - only it felt a lot longer." In this case, the owl was coaxed down and the ceremony continued as planned, but in other owl-assisted weddings, things don't always finish so smoothly. When another British, couple Sonia Cadman and Andrew Mettle, attempted a similar owl stunt last September, their ring-bearing barn owl decided to fly away too, enjoying an hour-long nap as the bride and groom were forced to improvise. 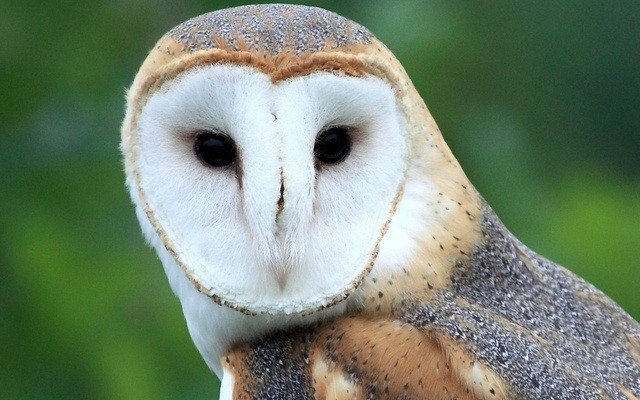 Barn owls have long been a fixture in the UK, but after the bird was featured prominently in the Harry Potter series, there's been a spike in popularity -- though that has led to the rise of owls as pets, many of which wind up abandoned or exploited. Unfortunately, this fanciful use of the species also gives the false impression that barn the UK's barn owl population is as resurgent as the public's interest in them. From an estimated population of 12,000 owl pairs in the 1930s, the most recent count found less than 4,000 remaining in England and Wales, mostly due to habitat loss and development on their hunting grounds.